How To Make Money Blogging For Beginners - Lets Work Online. Given the economic climate, it’s no surprise that many people are struggling to meet their basic needs even when they have a fulltime job. Often a second job or side hustle is necessary to get by. One of the most popular side hustles is to make money blogging. You’re probably here as you’ve heard it’s possible to make money by blogging about one of your passions or sharing your knowledge and experience. And you’re wondering how to make money blogging for a beginner! In this post, you will find the information you need to start making money blogging and generate an extra income which in some cases may even turn into a fulltime income. This post contains affiliate links, this means, at no additional cost to you, I will earn a commission if you decide to purchase something after clicking on my link. Please read my disclaimer for more info. This varies from nothing to millions of dollars per year. These are very successful bloggers who have been blogging for a number of years. There are bloggers who make a full-time income, others a little extra cash each month and many others no money at all. You might wonder why there is such a variation. Many people who start a blog consider it as a hobby or a side hustle. While there is nothing wrong with thinking like this, to be a successful blogger you need to work hard, be consistent and dedicated. This means you need to produce quality articles that can be shared on social media and you need to do this very often. The more quality content you produce consistently over time the better your long-term results. As you can see, to be successful takes a considerable amount of work. Go into blogging with the right mindset. It will take hard work, patience, and determination. How Long Before You Start Earning From Blogging? When you start a blog you should be ready to put in a few hours every day. And do this most or all days of the week. Before you start earning money it will probably be 6 months or longer. There are always exceptions who starting earning good money sooner and others who see nothing after a year. Be realistic – when you start, don’t expect to start earning in your first month. This is a long-term commitment, not a get rich quick scheme! You can earn a fulltime income blogging but it will probably take 1 or 2 years. Be patient and don’t give up. Giving up means all the work you have done will have been for nothing. You may give up when your website is just about to start earning its first commissions. If you do give up it’s not only the additional income you lose but also your dreams of working from home and spending more time with your family. Making money from blogging may take longer than you hoped but don’t be discouraged. Squeeze in a few hours at the end of your day’s work. You will see in time that it’s well worth it! You recommend a product or a service to your audience by including a special tracking link. You are paid a commission when someone completes a purchase (or action) after clicking your link. Affiliate programs can be found for almost all products. Amazon has one of the best-known affiliate programs. Affiliate marketing is my favorite and recommended way of earning money online. You can promote products without having the work of producing them yourself and you don’t deal with the delivery or customer support. You can find out more about getting started in this post Affiliate Marketing for Beginners – How to get started. Many bloggers use advertising to earn money from their blogs and it is often the first way to earn money they consider. There are a few different ways to incorporate adverts into your blog. You will earn based on your traffic. If this is the only way you earn you will be inclined to attract traffic any and every way possible. This may lead to your website becoming low quality. If you want to earn good money with ads you will need many thousands of page views per month. Once you’re getting all these page views and visitors there are many other ways of making money from your blog such as affiliate marketing, building your email list or producing a digital product. To emphasize this point, Michelle from Making Sense of Cents (I mentioned her income report above) had over 400,000 page views in February 18 and earned a little over $2,000 from display ads. Her other income sources were affiliate marketing $102,000, Making Sense of Affiliate Marketing course $43,000 and sponsorship and advertising $31,000. I hope this shows you that when you are getting this many page views the other ways of making money I mentioned above are much more lucrative. You display ads on your website, you choose the position, usually in your content or sidebar, and you generate revenue when someone clicks on the ads. These are known as CPC (cost per click) or PPC (pay per click) ads. There is also another model CPM (cost per mille) where you are paid a fixed amount based on how many people view the ad. To make a decent amount from display ads you need good traffic. The best-known display ad network is AdSense but there are many others such as Media.net or Infolinks. When it comes to having ads on your website the display ad networks aren’t the only option. If you have sufficient traffic you may be contacted by advertisers wanting to place ads on your blog or you can contact any companies that you think might be interested in advertising on your blog. This means there is no intermediary, so you can set your own rates. This may be more lucrative than the ad networks but is a considerable amount of work and time. You will have to find the advertisers, agree on a price, write an agreement and terms and create an invoice. You could use the CPC or CPM model, however, you will have to track views or clicks. An easier method is to charge a flat rate for a set period of time. If you’re like me and you don’t want to show ads to your audience you might want to try sponsored posts. There are 2 types of sponsored posts. Either your client will want an article that promotes their company/product or they will want a link to their company that fits naturally into the content. Prospective clients searching for a link will be interested in your domain authority, the higher it is, the more you can charge. They will also want a blog that is updated regularly and looks professional. Digital products are often used by bloggers to make money online. Generally, these products don’t cost much to produce as you can do most of the work yourself. The other great advantages are that you don’t need to hold any stock, they can be distributed easily/quickly and updating is very simple. Premium content – content that is more in-depth and longer than your normal content, also videos and downloads. This premium content can be accessed for a fee, in a members area. Before making a digital product make sure it’s something your audience needs. Listen to your readers before producing something. Don’t make the assumption your readers will need and buy the product. Unfortunately, many bloggers produce products no one buys. You can also use your blog to sell physical products. A physical product is anything you can hold in your hands. To sell your products you will need to be able to accept payments. Say you make handmade jewelry, you can use your blog content to attract visitors to your website where you list the jewelry you make. You can either list your products on your blog or add a store to your blog. The WooCommerce plugin makes this easy with WordPress. You write articles on your blog that relate to the jewelry niche. The articles will rank in the search engines and attract visitors who will see the products on your site or you can direct them to your store. In essence, your blog will be a marketing tool that will drive visitors to your products. Physical products have some drawbacks. You will have to get the products made, then you are responsible for packaging, storage, shipping and customer service. This is the easiest and quickest way to get started. There’s no product to create and no inventory to hold. You can offer services locally for jobs such as gardening, decorating, personal coach or pet care, this will, of course, depend on your niche. Or do remote work such as freelancing. Freelancing you can offer a service that you excel at. This could be writing, graphic design, building websites, a virtual assistant or social media manager. The list is vast! Freelancing is an excellent way to make money quickly for a skill that you already have. The first thing you must do is take action and start a blog now! It’s too easy to put it off until tomorrow. Most people get stuck at this point, I know I put it off for a while only to regret it later. It’s the first step on your journey to success you need to take the decision to get started now. Yes, you can! However, it’s not recommended. There are sites such as WordPress.com, Blogger, Wix, and others that offer free websites. To start a blog you can get hosting from a hosting provider like Bluehost, which costs just a few dollars per month. 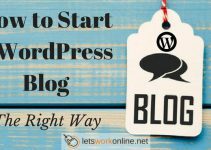 Install WordPress and you’re ready to go! Then you will try to work out how to build your site. Many bloggers take this route. It’s doesn’t cost much and you may think that setting up a website is the hardest part. But to be successful you will need training and support. There are some free online courses that can show you how to start a money making website. Although they are helpful resources they don’t give you all the information you need and usually, they don’t provide any support. The method I recommend for getting started is by joining an online training platform. My recommended training platform, Wealthy Affiliate, provides hosting, training, and support. They offer a free trial so you can see what they offer and then if you want to go further there is a Premium membership at $49 per month. This includes hosting, step by step training, support and tools – everything you need to get started! You can check out my review here. Many people start affiliate marketing or blogging with the expectation of earning thousands of dollars in their first year and quitting their jobs after a few months. While this is possible it’s certainly not typical. If you’re starting as a beginner there is a lot to learn. Do you know about sales funnels, copywriting, SEO or building websites? If you do, you have a better chance than most of succeeding. If not get ready for the long journey to success. Yes, it will take time but you will get there as long as you don’t give up! Lack of patience is the number one reason most people fail. Put in the time you can and slowly build your website. Be patient and prepared for the long haul. Using a free hosting account and not buying your own domain name. Your site will look unprofessional and not serious. Choosing the wrong niche. If you choose a niche because you think it will be profitable but you have little interest you will struggle. Choose a subject for your blog that you are interested in, you and your audience will benefit. Your passion will shine through and you will spend more time working on your website. Writing lots of low-quality articles instead of fewer in-depth articles. 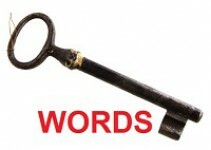 You should write content that will help someone and format your content so it’s easy to read. Promoting poor or low-quality products. As an affiliate marker or blogger, you want to build a relationship of trust with your readers. Promoting poor products will ensure they will never buy from you again. A satisfied customer will return to your website and also recommend your blog to others. Be honest! Putting too many affiliate links in a post. This isn’t helpful to the reader and Google doesn’t like articles with loads of affiliate links. 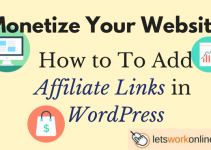 Include one or two affiliate links in your articles. Copying content from other websites. This won’t help you! It’s known as duplicate content and your blog will be penalized by Google, you will lose rankings and traffic. Research and write your own unique content! I hope this article has given you some ideas how to make money online from your website. Work hard with determination and you can be successful. You don’t need to use all these money making methods at the same time. Over time you will find out what works for you. Remember blogging is a long ongoing journey but it’s only by taking that first step and signing up for a training program and starting your own website that you will find out where this journey will take you. I recommend starting with affiliate marketing but what will you choose? Let me know in the comments section. Great intro to blogging. I first started a blog just as a hobby and a way of writing about my passion, however as I’ve seen traffic start to grow I’m starting to think more about how I can monetize this hobby. One question you may be able to help with – I think I have some regular readers and would love to be able to contact them with offers directly but am not sure how to do this. Any tips? Thanks Mike! If you are starting to get traffic I would add some relevant affiliate links to monetize your site. The best way to connect with your regular readers is to start an email list. You will probably have to offer some sort of freebie to encourage them to sign up to your list or as you’re providing information about your hobby perhaps they will sign up to receive your latest articles. Then you will need to set up an autoresponder, there are some free choices to get started. Hope that helps! It’s amazing looking at the ways one could earn money through blogging. I’m also an aspiring blogger and I thought it was through ads only that one could earn money by blogging. I never knew there were multiple ways cone could monetise a blog. To a beginner, it looks like a jungle out there and there are many misconceptions and myths surrounding internet marketing. There’s a wealth of information available on the internet on how to start a blog but I think one needs to go step by step through a systematic learning platform. The way you put it, Wealthy Affiliate sounds like a good deal. Thanks for an informative post. Yes, there are a few different ways to earn money from a blog and as you say there is a lot of info on the subject to be found online. Great articles and articles that are dated and now incorrect. Step by step training from a platform that is kept up to date is the best way to learn and Wealthy Affiliate is the best training platform I have found. Worth trying their free trial to see if it’s something that would work for you! I have to thank you very much for the rerally helpful information you have shared here. I did not know there are many ways a beginner could make money online. I had thought of doing ads on a website I just built but someone who is well experienced with this stuff told me it is best to start with affiliate marketing and then get to the ads later on. Yes, I would agree with the advice you have received. Start with affiliate marketing and then when you start getting a lot of traffic you could try ads. You read in the post that Michelle had 400,000 page views and made $2,000 from ads. Starting out you will only get a few page views per month and make a few cents, so stick with affiliate marketing at least in the beginning. Thank-you for this interesting post. I agree with your methodology. I am presently using the authority website/blog model that Wealthy Affiliate teaches. I agree having a strong foundation is paramount. The problem I am having is with written content. It takes me ages to do the research and writing. I know this is the best way to build an online business and it will provide long-lasting benefits for years to come. I just wish I could make the process faster. What do you think about curation? Charlie Page teaches his students to use it. Is it something you would advise me using to speed up the content production process? Also, I want to start a list on my WA promotional site. When should I begin the list building process? I know writing content takes up a lot of time especially when you’re starting, but as time goes by you should get faster. One tip is don’t try to make your posts perfect! I don’t know what Charlie Page teaches but I wouldn’t advise using content curation. Use other peoples articles for ideas but produce your own unique content. As for starting your list, don’t wait start as soon as possible.